International music legend, 75-year old Engelbert Humperdinck will carry the hopes of the UK's Eurovision entry in Baku, Azerbaijan, on May 26. Singer of Release Me, The Last Waltz and Quando Quando Quando remains popular in a number of the countries competing - and voting - in the song contest. Last year he toured Belgium, Romania, Russia, Israel and the Netherlands. 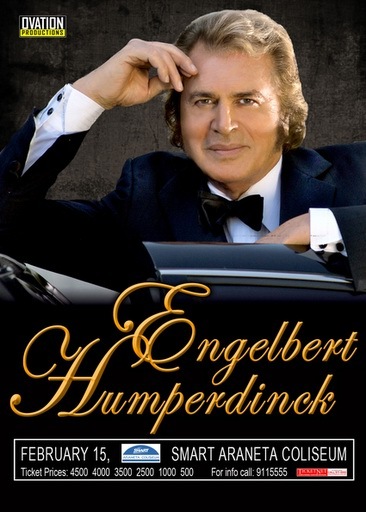 At the period of April 13 - May 16 Engelbert Humperdinck will give 11 concerts in USA and Canada. The BBC, which screens the contest, hinted at the tactical nature of the choice. Derek McClean, the Corporation’s creative director of entertainment, said: “Engelbert has an incredible musical history and heritage, especially in the UK and Europe.” His achievements include four Grammy nominations, a Golden Globe for entertainer of the year, 63 gold and 24 platinum records with total sales over 150 million worldwide, plus a star on the Hollywood and Las Vegas Walks of Fame. 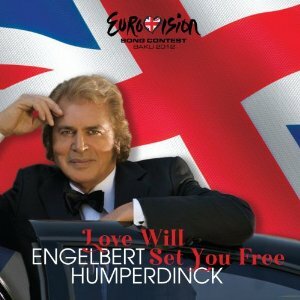 The Eurovision single, yet to be announced, has impressively cool credentials: Engelbert will be representing the UK with a track "Love Will Set You Free" produced by Grammy award-winning Martin Terefe (Mary J Blige, James Morrison) and co-written by Martin and Ivor Novello winner Sacha Skarbek (Adele, Lana Del Ray, James Blunt). The track was recorded in London, L.A and Nashville. CD single with British entry will be released on May 6th. Engelbert Humperdinck was born Arnold George Dorsey, one of ten siblings. His father served in the British military, and his mother was an opera singer and taught the violin. They all lived in Leicester and Humperdinck still has strong ties with the city, and was awarded freedom of the City in 2009. After a life-threatening and career damaging bout of Tuberculosis at the start of his career, the young Gerry Dorsey, as he became known, realised that he needed a big comeback and he changed his name to Engelbert Humperdinck. During his heyday in the late '60s and early '70s, Humperdinck cultivated the image of a mysterious heartthrob, sporting shaggy sideburns and a flamboyant wardrobe that, when coupled with his rich, silky crooning, drove female fans wild. Few people realise that it was Humperdinck, not Elvis, who made famous the sideburns and leather jumpsuits. 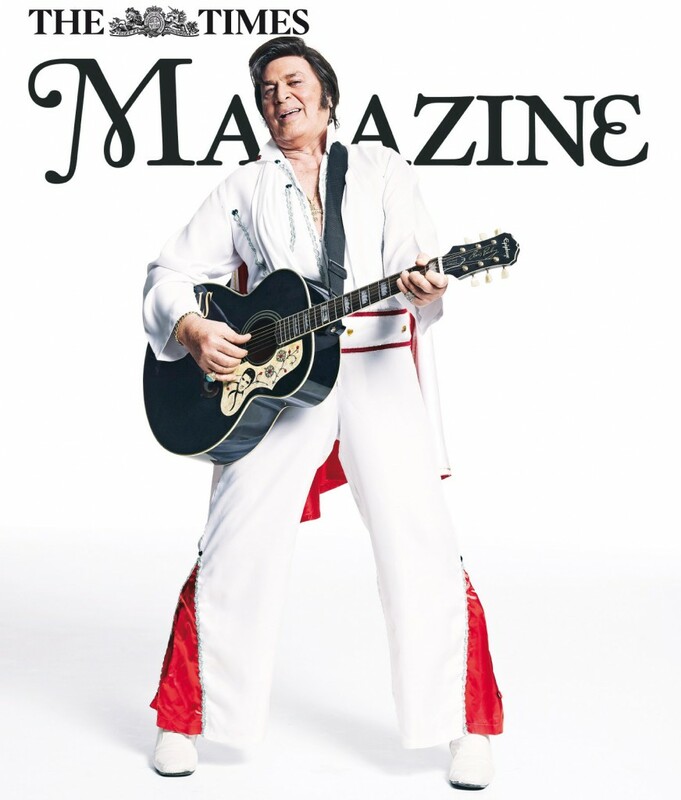 Humperdinck often jokingly asserts that Elvis "stole" the image from him. He has been especially popular in Europe and his native UK with many of his singles reaching the top 10 in charts in countries such as Germany, The Netherlands and Norway. 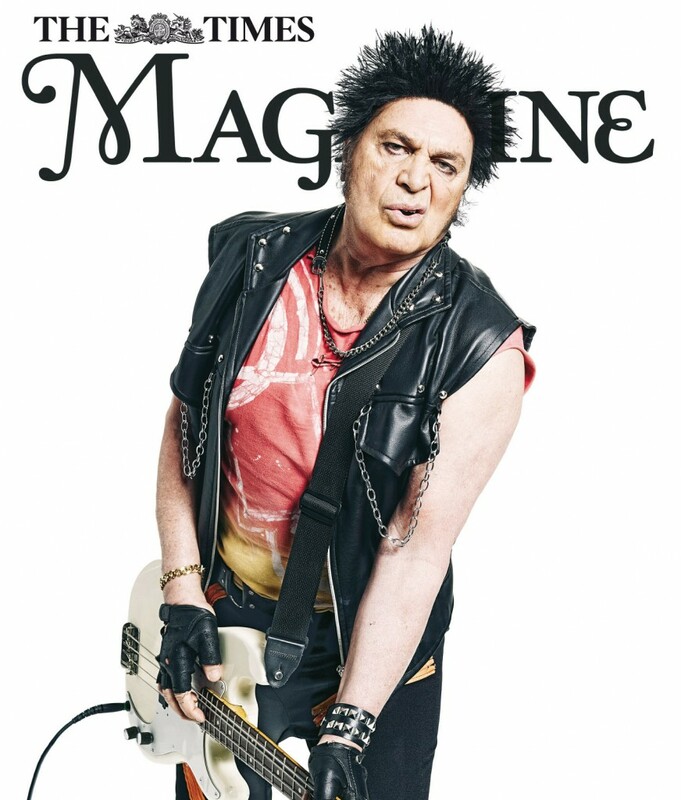 Humperdinck, who turns 76 at the beginning of May is quoted in Telegraph: “It’s an absolute honour to be representing my country for this year's Eurovision Song Contest. When the BBC approached me, it just felt right for me to be a part of an institution like Eurovision. 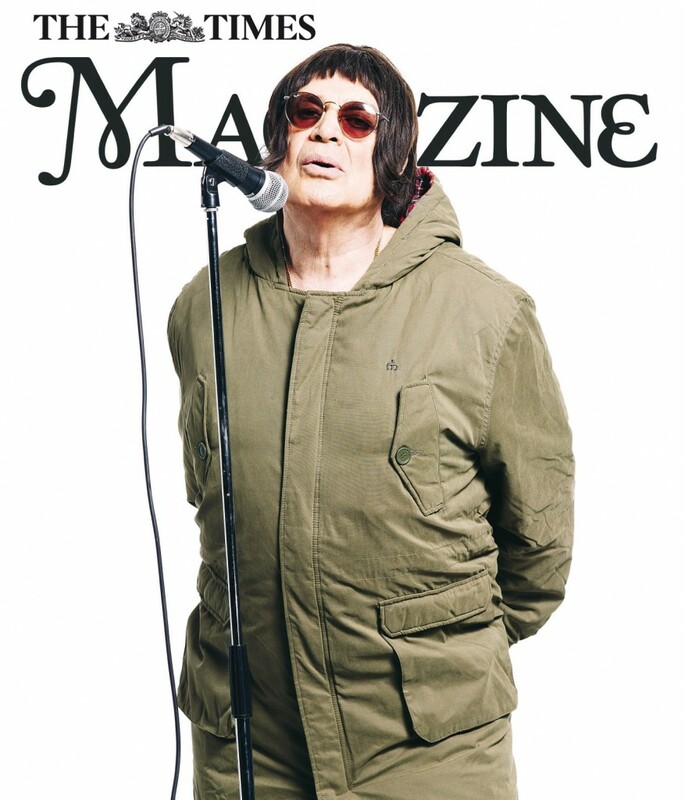 I’m excited and raring to go and want the nation to get behind me.” Международная музыкальная легенда, 75-летний Энгельберт Хампердинк представит Великобританию на конкурсе Евровидение 2012 в Баку, Азербайджан, 26го мая. Исполнитель таких хитов, как Release Me, The Last Waltz и Quando Quando Quando остается популярным в ряде участвующих и голосующих стран в конкурсе. В прошлом году он выступал в Бельгии, Румынии, России, Израиле и Нидерландах. В период с 13 апреля по 16 мая Энгельберт Хампердинк даст 11 концертов в США и Канаде. BBC, телеканал транслирующий конкурс в Великобритании, указал на тактическую природу своего выбора. Дерек МакКлин, директор развлекательного отдела корпорации, отметил: "За спиной у Энгельберта невероятная музыкальная история и наследие, особенно в Великобритании и Европе". Его достижения включают в себя четыре номинации на премию Грэмми, приз Золотой Глобус лучшему исполнителю года, 63 золотые и 24 платиновые записи, с общими продажами в более 150 миллионов по всему миру, плюс звезды на Голливудской и Лас Вегасской Аллеях Звезд. Песня для Евровидения, пока не названная, уже обладает внушительным списком авторов: Энгельберт представит Великобританию с песней "Love Will Set You Free", которую спродюсировали обладатель Грэмми Мартин Терефе (работавший ранее с Мэри Джей Блайдж и Джеймсом Моррисоном), и написанную Мартином вместе с Сашей Скарбеком (Аделе, Лана Дель Рэй, Джеймс Блант). Песня была записана в Лондоне, Лос Анджелесе и Нэшвилле. CD сингл с песней Евровидения будет выпущен 6го мая. Энгельберт Хампердинк родился как Арнольд Джордж Дорси, в семье с 9ю братьями и сестрами. Его отец служил в Британских вооруженных силах, а мать была оперной певицей и преподавала игру на скрипке. Все они жили в Лестере и у Хампердинка до сих пор сохранились связи с этим городом, чьим почетным гражданином он был признан в 2009 году. После того, как молодой Джерри Дорси перенес в начале своей карьеры угрожающий жизни туберкулез, он понял, что ему нужно вернуться на сцену со всплеском, и взял имя немецкого композитора Энгельберта Хампердинка. В дни пика своей популярности, в конце 60х и начале 70х, Хампердинк культивировал имидж таинственного сердцееда, со спортивными бакенбардами и ярким гардеробом, который вместе с шелковистым голосом исполнителя, сводил с ума девушек по всему миру. Очень немногие знают, что это именно Хампердинк, а не Элвис, сделал знаменитыми бакенбарды и кожанные комбинезоны. Хампердинк зачастую шутит, что Элвис украл "имидж" у него. Певец был особенно популярен в Европе и своей родной Великобритании, а многие из его синглов достигали топ 10 в чартах таких стран как Германия, Нидерланды и Норвегия. Хампердинк, которому исполнится 76 лет в начале мая, заявил газете Телеграф: "Это абсолютная честь для меня - представить мою страну на конкурсе песни Евровидение. Когда BBC сделал мне предложение, я сразу почувствовал себя частью такого крупного института как Евровидение. Я очень рад и с нетерпением жду возможности отправиться на конкурс и надеюсь, что весь народ объединится за мной". - Dear Engelbert, it is great honour to have this interview done, so first of all what do you feel now becoming the Eurovision entrant? - It's great to be the one representing the UK. It is a huge challenge but one I'm ready to accept. Nobody knows what will happen, but I'm going to do my very best. Eurovision has seemed perfect for me to be a part of for a long time and it's fantastic that I can finally get to be a part of it. - Have you been following the show in past regularly and do you have any personal favourites? - I have seen the Eurovision Song Contest yes, it's a spectacular event and has a ripe history. I remember Lulu winning in 1969, Abba in 1974, and of course Brotherhood Of Man in winning in 1976 for the UK, that was the last time the UK performed first at Eurovision, I am opening Eurovision again this year and hope to repeat that success. - How BBC has made you the proposal to take part in the contest, and what was your initial reaction to it? - With what aim are you entering the competition? - I have my eyes on the prize with my song 'Love Will Set You Free'. I'm very proud of the song and with the nation behind me, I feel ready and look forward to the rollercoaster ride that is Eurovision!" - Had you already a song in mind when agreeing to take part in the show, or was it created after that? Can you tell us the story of it's creation? - The song came about because we were already working the writing/production team Martin Terefe and Sacha Skarbek for my new studio album, the song was chosen because it's a beautiful ballad. It was recorded in Los Angeles, Nashville and London. - How can you describe your song "Love Will Set You Free" in one phrase? - A beautiful, romantic ballad. - What do you think are the ingredients of the song that will help it to stand out, to be voted for from all across Europe? - I have been called the 'King of Romance', I've represented romance all my life. This song is romantic and a perfect song for me to sing for Eurovision, I think it will standout among the other entries because of it rich musicality, mood and tempo. - Have you ever in your career to part in any singing competitions? Do you like competing in general? - In 1966 I took part in the Knokke Song Contest and won, I hope to have the same luck this year! - You're doing the US tour at this moment, so there is not a lot of European promotion, besides interviews. Do you think in general that pre-contest promotion is important for the contest success? - I will be doing lots of interviews with the European media, the fans will still hear from me. - We have heard that guitarist James Bryan will join you on stage? Will there also be any backing vocalists, can you introduce them? - James Bryan, the guitarist who accompanies me on the recording of 'Love Will Set You Free', will be joining me on stage, other than that my stage plans for Eurovision are still a secret but I promise you won't be disappointed. - Famous Arlene Phillips is responsible for your staging, how it is working with her? - I'm delighted to be working with such a talented person, Arlene will be working together on my stage plans when I get back to the UK in May. - They are all important, but remember it's a song contest so the strength of the song and performance is vital. - Have you heard other participating songs in the show? Any personal favourites? - I am familiar with Jedward, the two boys from Ireland, they have fantastic energy. Also the Russian grannies, it's going to be a hot competition. - Have you heard the story that husband of one of the grannies is prohibiting his 76 years old wife to go to Eurovision because he is afraid she may start romance with you? What is your reaction to that? - I didn't know that, but I am taking it as a compliment, Russian women are some of the most beautiful in the world. - You have been performing in Russia in the recent years, as well as at biggest Russian festival "New Wave" taking place in Latvia, what are your memories from them? - We believe you're currently working also on your album, any information on it? When it is expected to be released, what kind of songs will be included there? - The plans for the album are all a secret for now, but watch this space. - Для нас большая честь опубликовать данное интервью, пожалуйста, для начала расскажите нам, как вы чувствуете себя в роли конкурсанта Евровидения? - Это потрясающе быть представителем Великобритании, это большой вызов, но я готов принять его. Никто не знает, что произойдет, но я постараюсь показать все, на что я способен. Евровидение уже давно казалось для меня подходящей площадкой, и это фантастика, что наконец-то я смог попасть на него. - Следили ли вы за шоу регулярно в прошлом, может быть у вас есть какие-то собственные фавориты? - Да, я смотрел конкурс Евровидени, это очень красивое, масштабное мероприятие, с богатой историей. Я помню победу Лулу в 1969 году, АББЫ в 1974, и конечно же победу Brotherhood Of Man в 1976 году для Великобритании, это был последний раз, когда Великобритания выступала первой на Евровидении, и я как раз открою конкурс в этом году и хотел бы повторить этот успех. - Как получилось так, что BBC сделало вам предложение об участии на конкурсе, и какова была ваша первоначальная реакция на это? - BBC обратилось к моему лейблу Conehead Record и когда я услышал, что мне предлагается представить страну на Евровидении, я немедленно согласился, ведь это большая честь. - С какой целью вы примете участие в этом конкурсе? - Я уже положил глаз на главный приз, которого я хочу добиться со своей песней 'Love Will Set You Free'. Я очень горжусь этой песней и с нетерпением жду тех "европейских горок", которыми является Евровидение!" - У вас уже была песня на тот момент, когда вы согласились принять участие в шоу, или она была создана после этого? Можете ли вы рассказать об истории ее создания? - Мы работали в тот момент с моей командой авторов и продюсеров Сашей Скарбек и Мартином Терефе над моим новым студийным альбомом, и песню мы выбрали потому, что это красивая баллада. Она была записана в Лос Анджелесе, Нэшвилле и Лондоне. - Как бы вы описали "Love Will Set You Free" в однйо фразе? - Что на ваш взгляд, является теми ингридиентами, которые позволят песне выделиться, так, чтобы за нее проголосовали зрители со всей Европы? - Меня называют "Королем Романса", я представлял романтику всю свою жизнь. Песня очень романтичная и идеально подходит для моего исполнения на Евровидении. Я думаю, что она выделится на фоне всех других песен своей богатой музыкальностью, настроением и темпераментом. - Принимали ли вы уже когда-то участие в песенных конкурсах? Любите ли вы вообще соревнования? - В 1966 году я участвовал в Knokke Song Contest и победил, надеюсь, мне также повезет и на этот раз! - Вы сейчас гастролируете по США, поэтому у вас не так много Европейского промоушена, помимо интервью. Думаете ли вы, что предконкурсный промоушен важен для общего успеха? - Я буду давать множество интервью европейским СМИ, поэтому мои поклонники все равно будут на связи со мною. - Мы слышали, что с вами на сцене выступит гитарист Джеймс Брайан. Будут ли у вас бэк-вокалисты, могли бы вы их представить? - Да, гитарист Джеймс Брайан, который принимал участие и в записи "Love Will Set You Free", выступит со мной на сцене, но все остальные мои планы о Евровидении пока находятся в секрете, но могу пообещать, что вы не будете разочарованы. - Знаменитая Арлен Филлипс отвечает за постановку вашего номера, как вам работается с ней? - Я очень рад возможности работать с такой талантливой личностью, Арлен несомненно будет работать со мной над нашими сценическими планами, когда я вернусь в мае в Великобританию. - Что на ваш взгляд наиболее важно для успеха на Евровидении: песня, исполнитель или шоу? - Думаю, что важны все компоненты, но, поскольку это песенный конкурс, то сила песни и само выступление играют самую главную роль. - Слышали ли вы другие песни, принимающие участие в шоу? Есть ли у вас личные фавориты? - Я знаком с песней Джедвард, двух ребят из Ирландии, у них фантастическая энергетика. Также, с Бабушками из России, вообще конкурс будет очень сильным. - Слышали ли вы историю о том, что муж одной из Бабушек запреещает своей 76-летней жене поездку на Евровидение, потому что боится, что она может флитовать с вами? Какова ваша реакция на это? - Я не знал об этом, но я воспринимаю это как комплимент, потому что российские женщины всех возрастов одни из самых красивых в мире. - Вы выступали в России несколько раз за последние годы, а также в Латвии на крупнейшем фестивале "Новая Волна", каковы ваши воспоминания об этом? - Выступления в России и Латвии были одними из самых больших концертов, что я когда либо дал, реакция зрительской аудитории была просто фантастической и поразила меня. Для меня большая честь думать, что у меня есть так много поклонников во всех странах Европы, и я с нетерпением жду возможности вернуться в эти страны снова в ближайшем будущем. - Мы полагаем, что вы сейчас работаете над альбомом, можете ли вы рассказать что-то о нем? - Планы по альбому пока в секрете, но очень скоро вы все узнаете. - И наконец, если вы хотите что-то добавить нашим читателям, вы это можете сделать сейчас. - Я хочу поблагодарить своих поклонников со всей Европы, я надеюсь, что они помнят все мои песни и окажут мне поддержку. Я очень хочу привезти конкурс к нам домой! 10/05 Local and foreign promotion for Engelbert Humperdinck: Any exclusive interview with the British artist before the Eurovision can be considered a big success for the media. 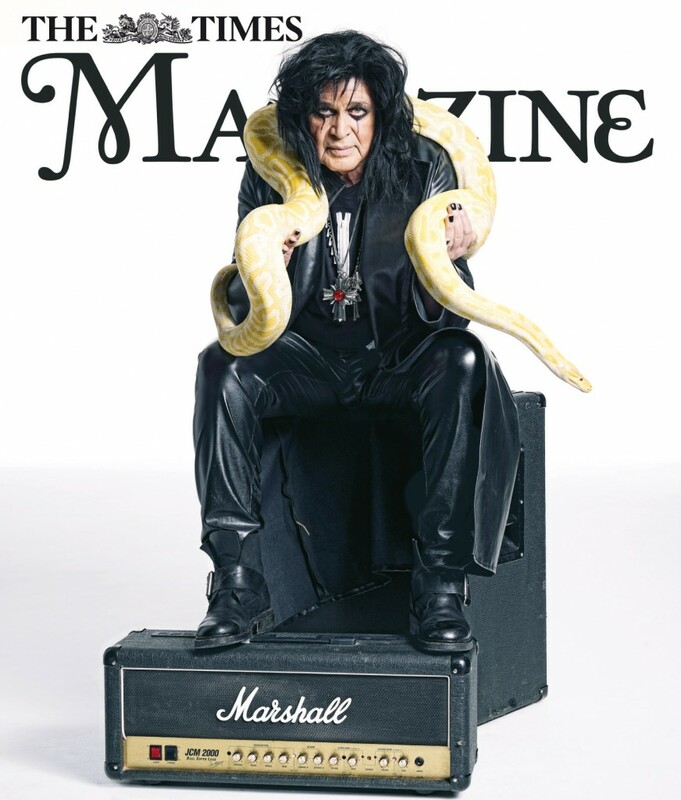 Only several hand-picked online/printed/TV/radio media have been granted access to the legendary musician. We remind you that first online interview honour was given to ESCKAZ.com. After that followed interviews with British fan site ESCToday and Italian Eurofestival. 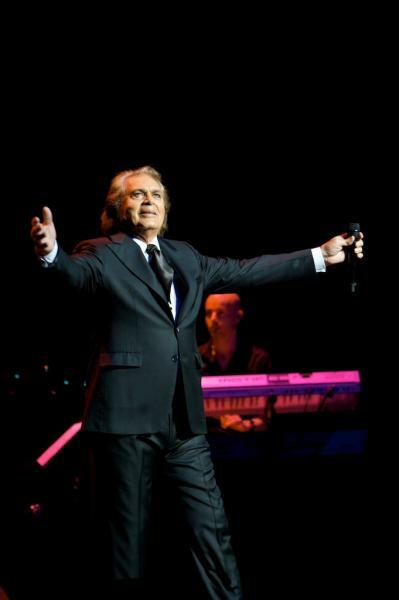 Staying in US, Engelbert has chatted with Los Angeles Broadway World, and continued his online interviews to a selected media accross Europe - including Serbian newspaper Blic, websites of Danish (English translation) and Spanish broadcasters, German news agency DAPD, as well as giving telephone interview to Maltese radio Calypso. It was also announced by BBC that Engelbert is planning to do interviews for Latvian, Dutch and Hungarian press, however, we were unable to spot them as yet. Upon his arrival to UK, singer gave interviews to leading printed press of the country: Daily Mirror, Daily Mail and the Times. On Friday, Engelbert Humperdinck will appear in The Graham Norton Show on BBC One while on 16th of May he will perform solo concert in Moncton, Canada. (photo - Mark Harrison - The Times) Местный и зарубежный промоушен для Энгельберта Хампердинка: Любое интервью британского артиста перед Евровидением может рассматриваться как большой успех для СМИ. Только небольшому количеству специально отобранных онлайн/печатных/теле/радио медиа было разрешено пообщаться с легендарным музыкантом. Мы напоминаем вам, что честь первого онлайн интервью с исполнителем досталась ESCKAZ.com. После этого певец также пообщался с британским фан-сайтом ESCToday и итальянским Eurofestival. Оставаясь в США, Энгельберт дал интервью Лос-Анджелесскому Broadway World, и продолжил свои онлайн интервью ряду европейских СМИ - включая сербскую газету Blic, вебсайты датской (английский перевод) и испанской телекомпаний, немецкому новостному агентству DAPD, а также телефонное интервью мальтийской радиостанции Calypso. BBC также объявило о том, что Энгельберт даст интервью латышской,голландской и венгерской прессе, но нам их обнаружить пока не удалось. Вернувшись в Великобританию, певец дал интервью крупнейшей печатной прессе страны: Daily Mirror, Daily Mail и the Times. В пятницу Энгельберт Хампердинк станет гостем Шоу Грэма Нортона на BBC One, а 16го мая даст сольный концерт в Монктоне, Канада. Сегодня, BBC опубликовал четыре новые эксклюзивные фотографии, в которых Энгельберт Хампердинк представл в виде четырех идолов рок-н-ролла Элвиса, Элиса Купера, Сида Вишеза и Лайама Галлахера для обложки субботнего выпуска журнала The Times. Энгельберт говорит: "Это была очень веселая фотосессия, и первая в таком плане для меня. Я люблю переодеваться, но эта фотосессия вывела это занятие на иной уровень. Все четыре эти исполнителя известны благодаря своим потрясающим выступлениям. Я тоже знаком с выступлениями перед миллионными аудиториями, но если бы я мог воплотить на сцене в Баку хотя бы часть их сценического влияния, то я, несомненно, стал бы фаворитом конкурса Евровидение этого года. И давайте не будем забывать, что это был ваш покорный слуга, а не Элвис, кто впервые выступил в кожанном комбинезоне и с бакенбардами. Я хочу, чтобы мои поклонники в Европе Think Dinck и отдали мне свои голоса!" 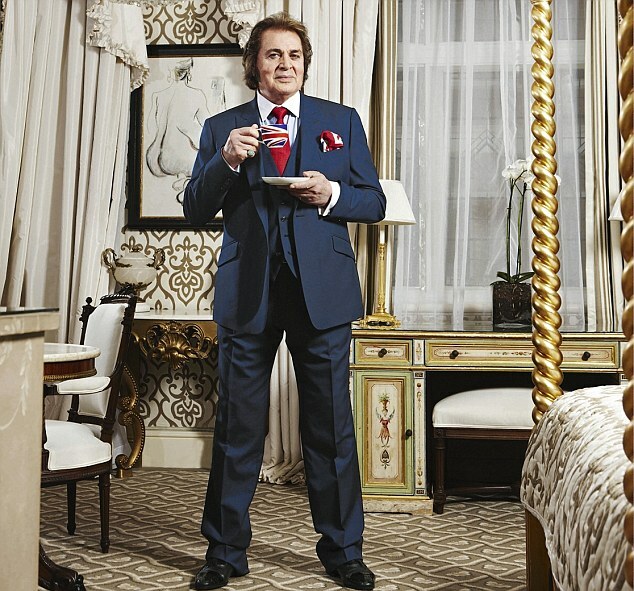 British Eurovision 2012 entrant Engelbert Humperdinck is offering an innovation. You can't attend his US tour concerts live? 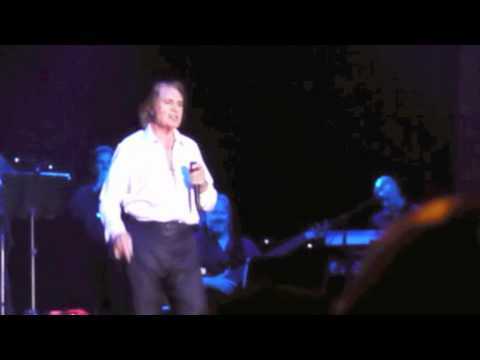 Engelbert.com will allow you to get a virtual front row seat. You can purchase tickets to the Northern Quest Resort and Casino concert webcast on April 29th, 4 am CET for 24.99 USD (payment through PayPal). For overseas viewers convenience you will be able to play back the record for 24 hours from the time of concert, new controls will also allow to pause, rewind, and replay the concert. Stream can be viewed on your computer, internet-enabled TV, iPhone, iPad, or any internet-connected Smartphone or tablet. Live chat option will be provided that will allow to discuss with other fans all things Engelbert during the concert. Buy a ticket for the webcast and get a chance to win a special piece of Engelbert's new jewelry line! CD single with British entry "Love Will Set You Free" will be released on May 6th by Conehead UK (preorder on iTunes or Amazon). Bonus tracks on the CD will be "Too Beautiful to Last" and "My Way". Next week it is record of the week on BBC Radio 2. 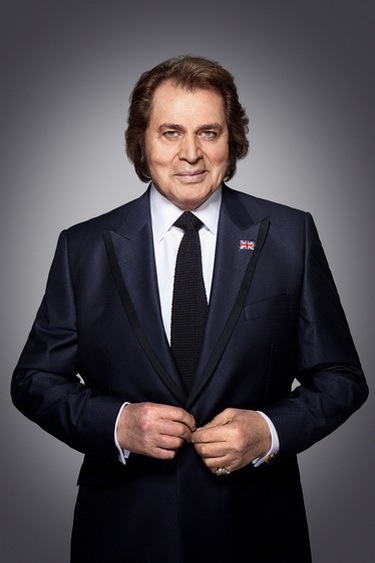 Also, BBC has announced that Engelbert Humperdinck will make some TV performances of 'Love Will Set You Free' in the coming weeks: he will be guest at the Graham Norton Show, National Lottery Show and the morning program "This Morning". On 11th of April UK Eurovision entry has managed to top Amazon singles chart on pre-orders alone. It managed to make a strong debut in this chart, ahead of Wherever you are by The Military Wives and Girl gone wild by Madonna. Earlier, it has been revealed that singer is working on a collaboration album that he nicknamed, "Engelbert and the ladies" with some big female names involved in the duets. After the Eurovision Engelbert is planning to have a rare appearance in South Africa on 22-23 of June, while for 2013 are planned performances in Glasgow, London and Birminham. Представитель Великобритании на Евровидении 2012 Энгельберт Хампердинк предлагает инновацию. Вы не можете посетить концерты его тура по США вживую? Engelbert.com позволит вам занять место в первом ряду виртуально. Вы можете приобрести билеты на вебтрансляцию концерта из Northern Quest Resort and Casino 29го апреля в 7 утра по Москве за 24.99 доллара США (оплата через PayPal). Для удобства иностранных зрителей, можно будет просмотреть видео концерта в течении 24х часов с момента его начала, также возможно делать паузу, перематывать обратно и повторно проигрывать концерт. Эфир можно смотреть на компьютере, телевизоре с подключением к интернету, iPhone, iPad или любом сматфоне с подключенным интернетом или планшете. Опция чата позволит обсудить концерт во время эфира с другими поклонниками исполнителя. Также, приобретя билет вы получите шанс выиграть новые ювелирные изделия марки Энгельберта. CD сингл с британской песней "Love Will Set You Free" будет выпущен 6го мая компанией Conehead UK (предзаказ на iTunes или Amazon). Бонус треками на диске будут "Too Beautiful to Last" and "My Way". На следующей неделе песня будет треком недели на BBC Radio 2. Также, BBC объявило, что в предстоящие недели Энгельберт Хампердинк примет участие в ряде телешоу: шоу Грэма Нортона, Национальной Лотерее, и утренней программе "This Morning". 11го апреля сингл на песню Великобритании на Евровидении смог возглавить чарт синглов Amazon основываясь только на предзаказах. Ему удался сильный дебют, обойдя Wherever you are проекта The Military Wives и Girl gone wild Мадонны. Ранее сообщалось, что сейчас Энгельберт работает над альбомом "Engelbert and the ladies", на который войдут дуэты с известнейшими певицами. После Евровидения певец планирует выступить в Южной Африке 22-23 июня, а на 2013 запланированы его концерты в Глазго, Лондоне и Бирмингеме. The BBC has announced that international music legend Engelbert Humperdinck will sing “Love Will Set You Free" when he represents the UK in the 2012 Eurovision Song Contest on Saturday 26 May in Baku, Azerbaijan in front of an estimated 120 million viewers worldwide. “Love Will Set You Free” has been recorded in London, Los Angeles and Nashville and is co-written and produced by Martin Terefe and Sacha Skarbek. Engelbert will be accompanied on stage by guitarist James Bryan, well-known for his appearances with Nelly Furtado. Also, Arlene Phillips will be staging Engelbert’s performance in Baku. Engelbert Humperdinck added: “I have my eyes on the prize with my song ‘Love Will Set You Free’. I’m very proud of the song and with the nation behind me, I feel ready and look forward to the rollercoaster ride that is Eurovision!" UK viewers will once again be part of the Eurovision Song Contest experience via the red button. Red button users will be able to sing along to the lyrics of all 26 finalists songs, both in English and the original language. Viewers will also be able to share their comments and thoughts on this year’s grand final.The Eurovision Song Contest grand final on BBC One and BBC One HD and semi-finals on BBC Three are executive produced by Andrew Cartmell. The grand final on BBC One will be produced by Russell Minton and the semi-finals on BBC Three will be produced by Ali Marlow. Engelbert Humperdinck will be in commentary booth as a special guest during first semifinal. Live commentary for the final will be done by Graham Norton for BBC One and Ken Bruce for BBC Radio 2. BBC Radio 2 presenter Ken Bruce will be broadcasting live from Baku on Friday 25th of May. In this special edition of his regular mid-morning show, Ken will be taking a look back at the history of Baku, as well as Azerbaijan as a tourist destination. He’ll be joined by Eurovision historian and expert John Kennedy O’Connor and Eurovision boffin and broadcaster Paddy O’Connell. Special guest Engelbert Humperdinck will be stopping by for a chat, as will some of Eurovision’s most famous female contestants including Dana, Clodagh Rodgers and Kate Robbins. On Saturday Graham Norton will present his Radio 2 show live from Baku with special guest Engelbert Humperdinck will look towards the evening’s Grand Final. Телеканал BBC объявил о том, что международная музыкальная легенда Энгельберт Хампердинк исполнит на финале конкурса Евровидение 26го мая в Баку перед аудиторией в примерно 120 миллионов телезрителей песню "Love Will Set You Free". Она была записана в Лондоне, Лос-Анджелесе и Нэшвилле, ее авторами стали Мартин Терефе и Саша Скарбек. Вместе с Энгельбертом на сцене появится гитарист Джеймс Брайан, известный по своим выступлениям с Нелли Фуртадо. Также, постановщиком номера Энгельберта в Баку станет Арлен Филлипс. Дерек МакЛин, директор отдела развлекательного вещания корпорации, отметил: "Это баллада в высоком стиле, созданная одними из самых известных имен в музыке. С такими именами, и настоящей музыкальной легендой на вокале, в этом году нашу песню Евровидения невозможно сравнить ни с чем". Энгельберт Хампердинк добавил: "Со своей песней "Love Will Set You Free", я намерен побороться за главный приз. Я очень горд своей песней, и поскольку нация объединилась вокруг меня, я с нетерпением жду этих "американских горок" под названием Евровидение!". Телезрители в Великобритании снова смогут использовать интерактивные возможности во время просмотра конкурса Евровидение. Нажав красную кнопку на своем пульте, они смогут подпевать всем песням финалистов, изучив их тексты на оригинальном языке и их переводы на английский. Зрители смогут также поделиться своими комментариями и размышлениями по поводу конкурса этого года. Исполнительным продюсером финала шоу на канале BBC One и полуфиналов на BBC Three станет Эндрю Картмелл. Финал конкурса на BBC One спродюсирует Рассел Минтон, а полуфиналы на BBC Three - Али Марлоу. Энгельберт Хампердинк станет специальным гостем в комментаторской кабинке во время первого полуфинала. Комментировать финал шоу на Великобританию будут Грэм Нортон на канале BBC One и Кен Брюс на BBC Radio 2. Ведущий BBC Radio 2 Кен Брюс также будет вести прямой эфир из Баку в пятницу 25го мая. В этом специальном выпуске его утреннего шоу Кен расскажет об истории города Баку, а также об Азербайджане как туристическом месте. Вместе с ним со слушателями пообщаются историк Евровидения Джон Кеннеди О'Коннор и исследователь и комментатор конкурса Падди О'Коннелл. Специальным гостем программы станет Энгельберт Хампердина, а также ряд известных участниц Евровидения - Дана, Клодаг Роджерс и Кейт Роббинс. В субботу Грэм Нортон также проведет свое шоу на Radio 2 в прямом эфире из Баку, который посетит Энгельберт Хампердинк и поделится своими мыслями о предстоящем финале. 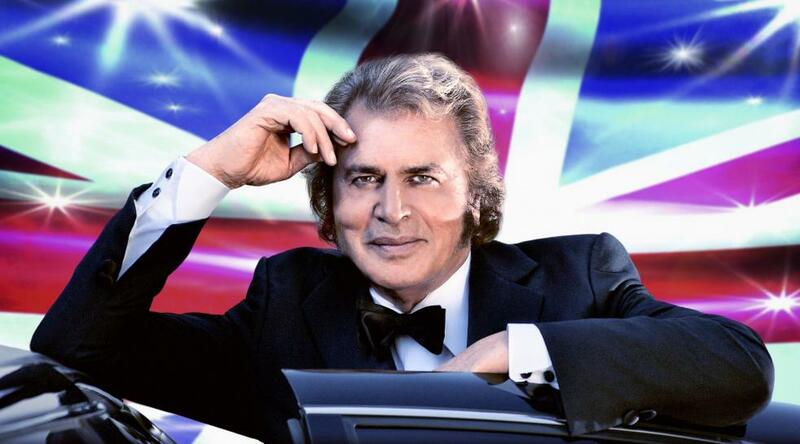 In an exclusive interview with TV Biz, 75-year-old Engelbert has declared: "I am going to win it for Britain." Speaking from Los Angeles, where he spends three months of the year, the Leicester native said he had been overwhelmed by the response to his move. Even CNN covered the announcement. He said: "I have been reading the coverage online and it is just amazing. It is unbelievable. I am gobsmacked. I didn't expect such a reaction. I am just thrilled they have chosen me and I will do my utmost to come through. I am going to do my best and I am ready for the challenge". He said: "I jumped at doing this. To all the naysayers, I say I have been up against it before, when I first started against major artists like The Beatles. People used to mock my name but at least they were still talking about me. I guess there has been a lot of buzz going around about me in the industry because I am back in the studio recording my new album." He added: "I have been in the business for 45 years and with my experience and the amount of countries I have visited in Europe, "I can bring this home. I play these countries frequently and I hope I have scored some points with them. I once played to 18million people in Riga. I am hoping some of them will latch on to this when they watch me on that TV programme and hopefully support us in a great way. I am very positive. I really love a big challenge." He said he hopes his family, including his wife, former showjumping ace Patricia, their four children and nine grandchildren, will join him in Baku. He said: "They are over the moon, excited and proud, as I am. "My son Scott manages me and he will definitely be there." Another interview Engelbert has done to a local radio. В эксклюзивном интервью с ТВ Biz, 75-летний Энгельберт заявил: "Я собираюсь выиграть Евровидение для Великобритании". Будучи в Лос-Анджелесе, где он проводит три месяца в году, уроженец Лестера рассказал, что он был поражен реакцией СМИ на его выбор. Даже CNN объявило об его участии: "Я читал освещение онлайн, и это просто удивительно. Это невероятно, я ошеломлен, я не ожидал такой реакции. Я просто рад что они выбрали меня, и я сделаю все возможное, чтобы пройти это до конца. Я буду делать все возможное, и я готов принять вызов ". Он сказал: "Я без раздумья согласился на это. Для всех скептиков, я говорю, я уже боролся против таких известных артистов, как The Beatles. Люди привыкли издеваться над моим именем, но по крайней мере, они по-прежнему говорят обо мне. Я думаю, в шоу-бизнесе было много шума, потому что я вернулся в студию для записи моего нового альбома". Он добавил: "Я в этом бизнесе уже 45 лет и с моим опытом и количеством стран, которые я посетил в Европе, я могу принести главный приз домой. Я часто выступаю в этих странах, и я надеюсь, что смогу набрать в них баллы. Я когда-то пел для 18 миллионов людей в Риге. Я надеюсь, некоторые из них вспомнят об этом, когда будут смотреть на мое выступление на конкурсе, и поддержат меня. Я смотрю вперед очень положительно. Я очень люблю подобные вызовы". Певец также сообщил, что надеется, что его семья, в том числе его жена Патрисия, их четверо детей и девять внуков, поедут вместе с ним в Баку. Он сказал: "Они на седьмом небе, взволнованы и горды, как и я." Мой сын Скотт является моим менеджером, и он, безусловно, будет там ". Еще одно интервью Энгельберт дал местному радио.